SunSetter’s elegant Woven Acrylic Fabric, which is ultrasonically sealed, is a highly durable yet lightweight fabric with a beautiful, textured look and feel, while their Traditional Laminated Fabric is a heavy-duty, 100% waterproof, 5-layer fabric that features 2 thick color pigmentation layers, an inner scrim layer for strength, and two layers of clear coating top and bottom. 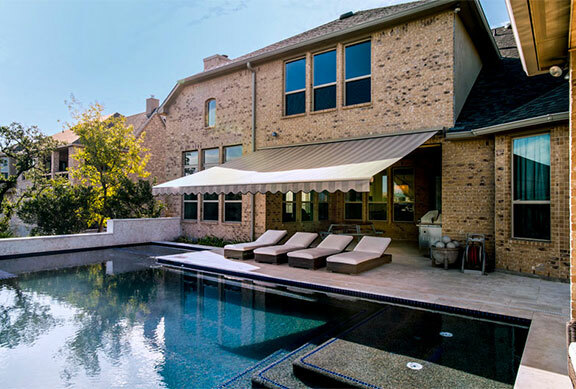 SunSetter Platinum Awnings feature Sunbrella fabrics. Sunbrella shade fabrics not only enhance the style of the home, they stand up to the elements with true performance. Fade-resistant, mold-and mildew-resistant and bleach-cleanable, Sunbrella shade fabrics deliver the performance you expect, withstanding the elements year after year. From stripes to solids, the Sunesta exclusive fabric collection consists of hundreds of options for you to choose from. Our acrylic fabrics are 100% solution-dyed to prevent fading or running. In addition to their long-lasting durability, all Sunesta fabrics are covered by a 10-year warranty. 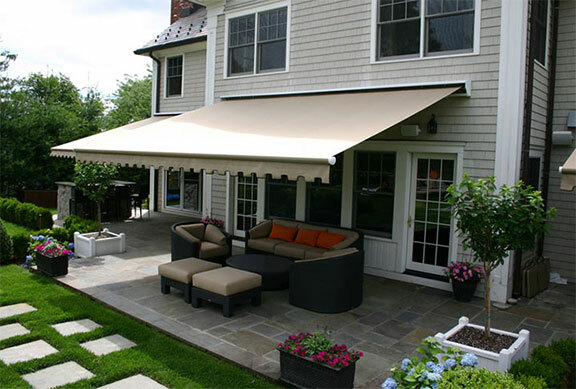 Futureguard awnings feature Sunbrella fabrics. 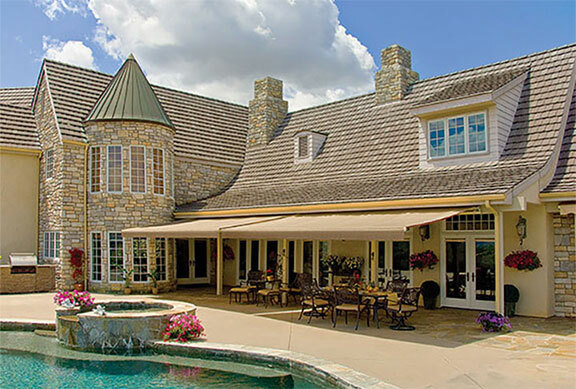 There is a wide variety of textures in the Sunbrella shade collections, and most of their fabrics carry the Skin Cancer Foundation’s Seal of Recommendation, so you can safely enjoy your outdoor space with the right shade solution for your home. Sunbrella textiles are made with close attention to design detail, and engineered with robust performance characteristics that provide resistance to fading and degradation from sunlight and chemical exposure. The fabric is tactile yet durable, has industry-leading environmental characteristics, is easy to care for and offers long life – wherever it’s used. 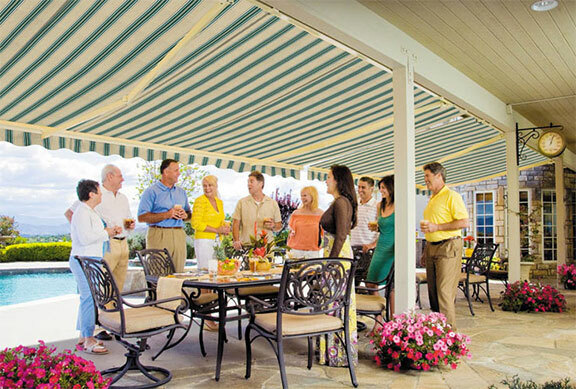 Growing tired of your awning’s pattern or color? 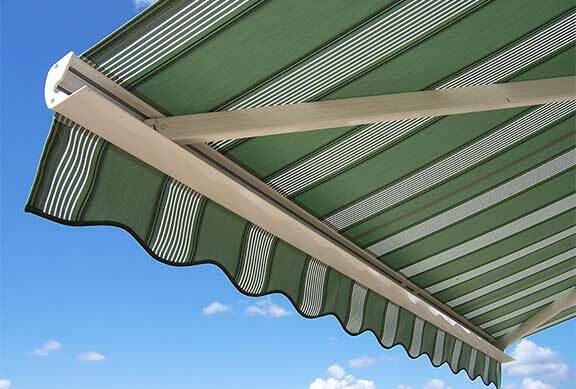 Mr Awnings offers a replacement option for retractable awning fabric. 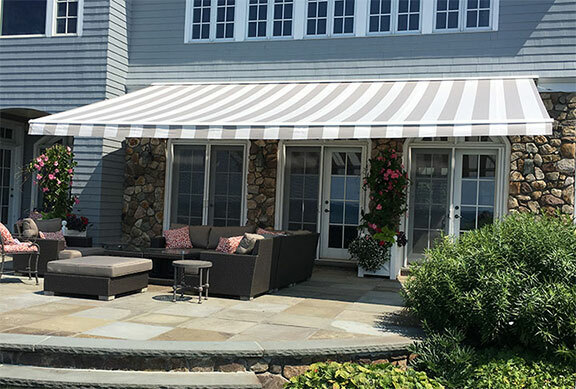 If your awning frame is in satisfactory condition, you’ll be able to simply purchase our outdoor awning fabric replacement services so that you can change the style or color of your awning without the bother of a do-it-yourself solution.